The Delsante family has been in farming for six generations. 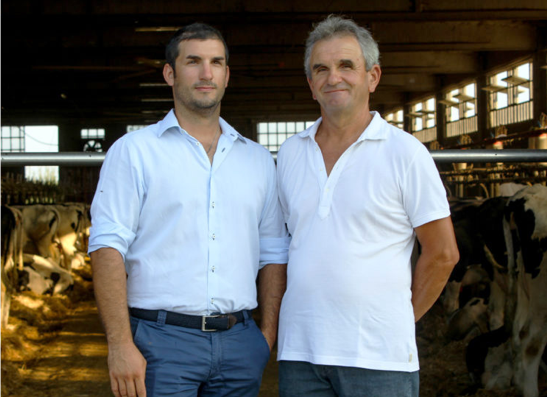 The founder of the family, Pietro, started the business in 1846; today Elvezio Delsante, who has in the meantime become CEO of the San Pier Damiani Dairy, leads the family business, alongside his son Saverio. Their cousins, Angela and Benvenuto, also make a vital contribution. The company has been listed on the Register of Historic Italian Companies. The historic fields preserve the signs of an ancient history: trails on parallel and perpendicular lines (“cardines” and “decumani”), an aqueduct and objects found on the site date back to the Roman period. The land was once swampy but today is rich in water from springs and fountains. 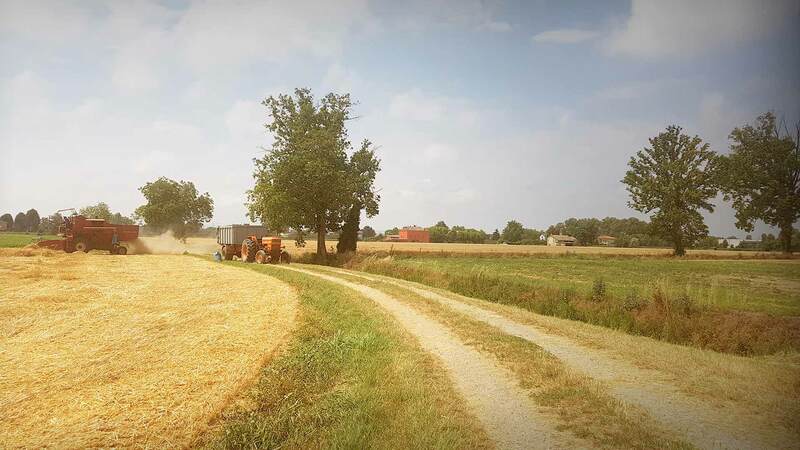 It has an extraordinary productive capacity and due to its features and position enables the haymaking of the typical crops for cattle feed and for the production of the very highest quality Parmigiano Reggiano “PDO”. The area of origin of Parmigiano Reggiano is limited to and exclusively covers the five Italian provinces of Parma, Reggio Emilia, Modena, Bologna (bordered by the river Reno) and Mantua (in its area on the right of the river Po). 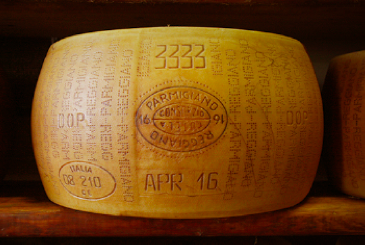 The Parmigiano Reggiano protected by the “PDO” (Protected Designation of Origin), guaranteed by the European Union may only be produced in this defined area. 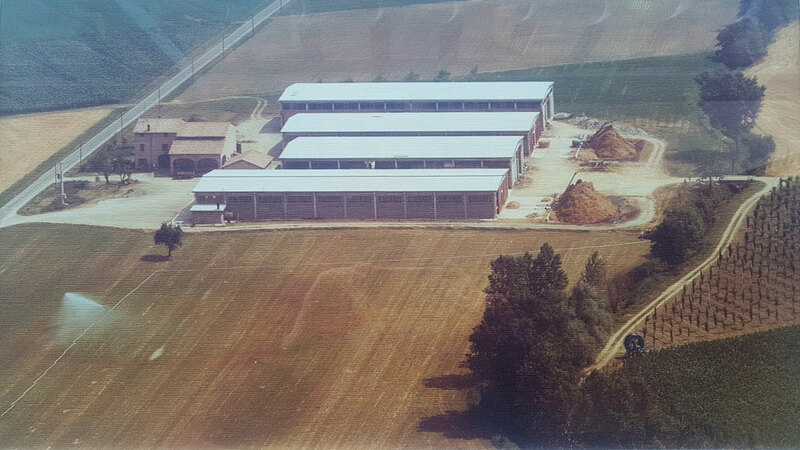 Pietro Delsante started business as a mixed economy fund lessee in various locations in the hills around Parma. From father to son the experience and deep understanding of the land led the family towards an increasingly precise specialist production. Milk production for making Parmigiano Reggiano became ever more important as a business activity. 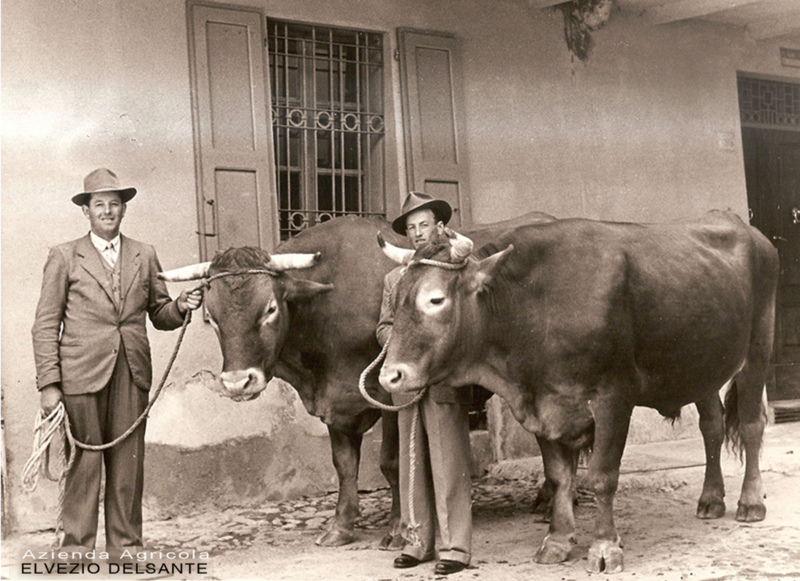 The Delsante brothers rented the three farms next to Sant'Anna, San Guglielmo and Santa Felicita in order to independently manage their business. 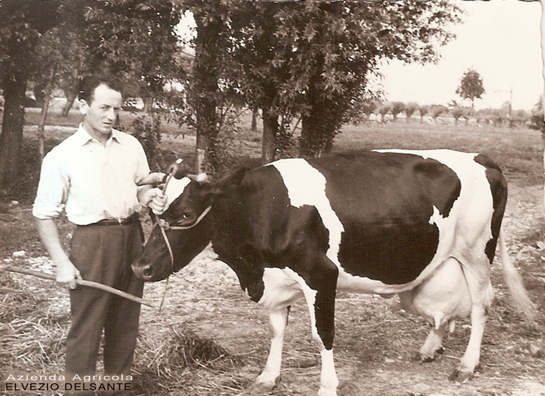 In 1967 they became partners in the San Pier Damiani dairy farmers’ cooperative in San Prospero Parmense. They continued with milk production for making Parmigiano Reggiano, alongside the production of wheat and tomatoes for the canning industry. 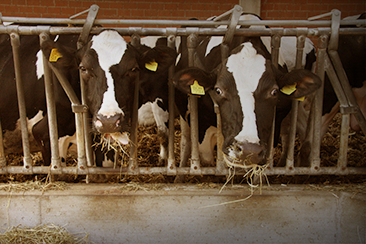 The first of the farms was bought and the barns were built that held 180 milk cows. In the following years the barns were extended and flanked by other agricultural buildings, used as storage for equipment and as haylofts. The brothers separated: Vincenzo and Egidio carried on together and Elvezio, Egidio’s son, came in as a partner. The business gave up tomato growing in order to specialise in milk production, increasing the quantity produced annually. The farm increased its production capacity reaching over 300 heads of cattle. Other neighbouring farms were bought reaching around 120 hectares of cultivated land. The San Pier Damiani Dairy began its guided tours. It opened its doors to visitors from all over the world who want to know about the stages of cheese production. In parallel it opened its own sale point. With careful genetic selection it is possible to have animals that are particularly efficient in processing this cellulose into milk. 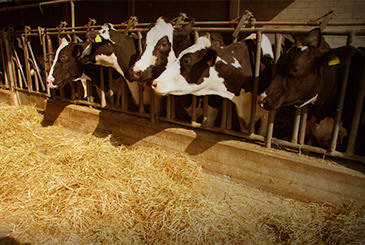 The breeding of dairy cattle is vital in the food chain. 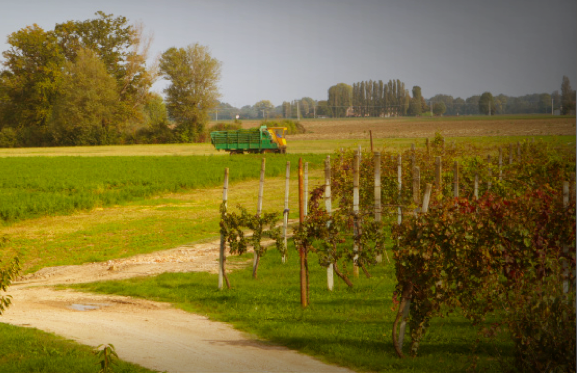 It has been for the history of Emilia in general and for the Delsante family in particular. Cows are herbivores able to transform vegetable molecules (cellulose and starch) that cannot be digested by humans into animal molecules that can then be digested due to their particular digestive tract, the rumen. With careful genetic selection it is possible to have animals that are particularly efficient in processing this cellulose into milk. 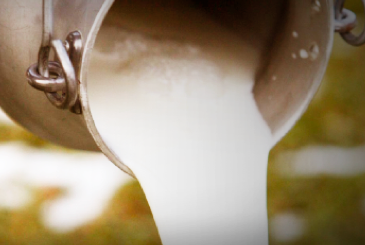 Milk is an easily perishable product. Historically that is why its processing into Parmigiano Reggiano has allowed its concentration of nutrients, its preservation and storage in the complete absence of any refrigeration equipment. Producing a wheel of Parmigiano Reggiano needs 550 litres of milk. Starting from the very beginning, the process from birth of a calf to production of a wheel of Parmigiano Reggiano aged for 12 months, takes at least three years. The cattle breed that has become best suited to the production stages is the Friesian - the black and white cow - which has also been raised in the Delsante farm for a number of generations. Originally from the Dutch and German region of Friesland the Friesian cow has become the most widespread dairy cow in the world. The Delsante farm on average breeds 150 Friesian cows and around 170 calves that replace the adult cows at the end of their lives. They are bred from very carefully selected bulls, which guarantee natural fertilization for one part of the herd. Each cow can reach a weight of 750 kilos. All the milk produced annually (around 1.2 million litres) is delivered to the San Pier Damiani Dairy to be processed into Parmigiano Reggiano. The Delsante farm cultivates 118 hectares of land including permanent meadowland, alfalfa, wheat, barley and maize. On the Delsante farm the land is cultivated to produce the fodder needed to feed the cattle’s rumination and as a result to produce milk. In this way it keeps the whole production cycle under control and the chain is certified. A large quantity of fodder is needed for animals of these sizes, and it is produced in the spring-summer period but it has to be preserved all of the winter. The Delsante farm cultivates its 118 hectares of land largely with alfalfa (a legume rich in fibre and protein) and barley, needed for a rich dairy cow feed. 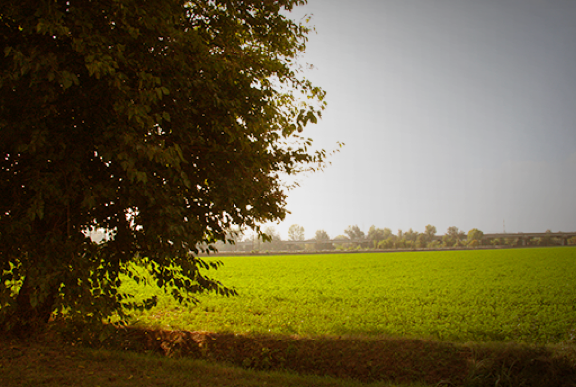 These crops are cultivated in rotation to make sure the fertility of the land is maintained. Its fertilisation is essentially achieved with the manure from the barns. The production rules of Parmigiano Reggiano do not allow the preservation of fodder through silage techniques, which means fermentation. The preservation is therefore carried out only through the natural drying out of the essential vegetable matter, which becomes hay. This type of fodder preservation and cattle feeding is the closest to the traditional one.